On February 3rd we will hold a promotional tour intended for foreigners of two of our newest creations! 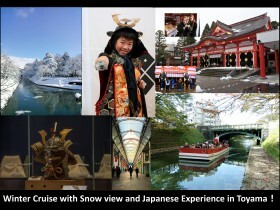 Participation is free but entrance fees and restaurant& tea house not included. 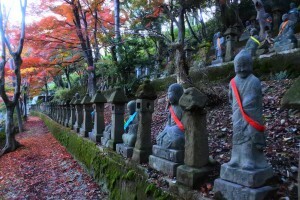 In the morning we will hold the “Learn about Japanese spirituality” tour and, after lunch, in the afternoon we will hold the “Experience Japanese Culture” tour. You can choose to participate only in one tour as well but please make a reservation. 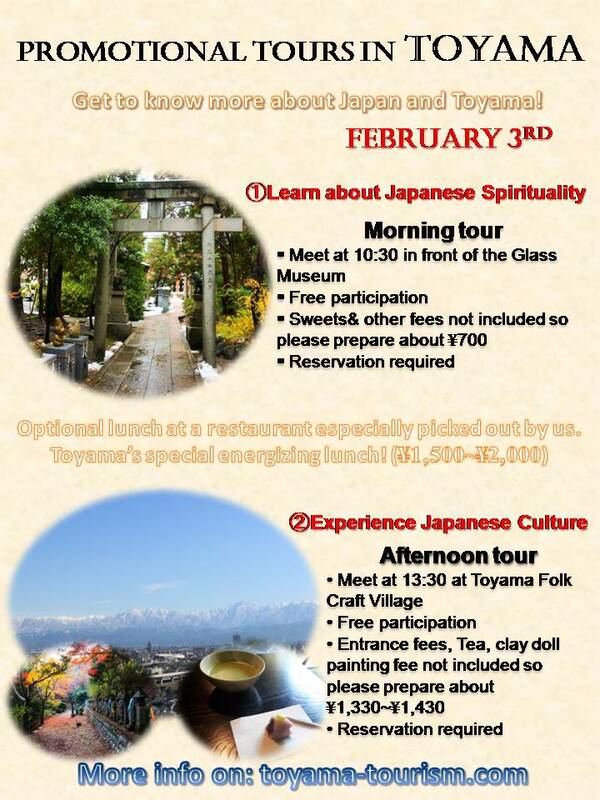 If you stick with us for the day we can enjoy together a special lunch set specific to Toyama! Please write your name, contact details (preferably phone number) and which of the tours you would like to participate in. 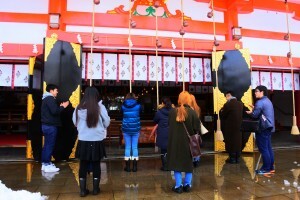 Tour description Find out more about Japanese spirituality and get to try some delicious Japanese sweets! Tour description Learn more about the local folkcraft and spirituality at Kurehayama Park. 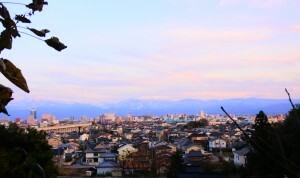 Enjoy the beautiful scenery while having a cup of Japanese tea& a little desert for those with a sweet tooth! Remarks * Clay doll painting experience includes choosing the doll shape of your wish and painting it. You can keep it afterwards!